With the Phillies in full rebuild mode, even if a few of the old veterans remain on the roster into the 2015 season one thing appears clear. The team intends to get both Maikel Franco and Cody Asche plenty of playing time. Since both players came through the organization as 3rd basemen and have each spent the vast majority of their playing time at the hot corner, something’s gotta give. That something may end up being a sort of ‘super-utility’ role for Asche. In a Tuesday interview session with reporters, manager Ryne Sandberg touched on the issue involving playing time for his two youngsters. 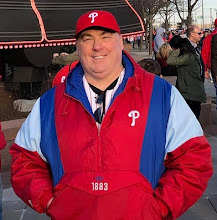 He intimated that Asche would see playing time at both 1st base and in leftfield, in addition to any 3rd base time he receives. The team still lists Asche as it’s top 3rd baseman on the official depth chart, and that is the role at which he will enter spring training. He is a solid defender there, but his bat lacks some of the traditional pop most teams want in a corner infielder. The 22-year old Franco has more than 2,000 minor league plate appearances, is a superior defender as a 3rd baseman, and has that coveted power. He should be at least a 20-homerun hitter right away. In 2014, Franco broke into the big leagues with a 16-game cameo in which he played a dozen games at 3rd and appeared 5x at 1st base. He has played 31 games at 1st base in the minor leagues the last two seasons, with the rest of his career at 3rd. Asche had his intro to the big leagues in 2013, and then was a regular in 2014 when he played in 121 games. All of his 156 games over the last two seasons with the Phillies have come at the hot corner, as did all 300 of his games in the minors. The Phillies now need to get both of these players a full season of at-bats against MLB pitching, and that means getting them into the lineup together as frequently as possible. Asche is seen as more athletic, capable of playing in leftfield, and so there is a chance that he will see most of his innings there, with Franco as the regular 3rd baseman. There is also the possibility that the team may be able to trade Ryan Howard. Should that happen, it’s possible that the Phils could move Franco to 1st base full-time, leaving Asche at 3rd. Wherever they end up defensively on the diamond, Phillies fans can expect to see a lot more of both Maikel Franco and Cody Asche over the next few seasons in the everyday batting order.